It’s a good thing this cereal wasn’t around 30 years ago, because if it was I wouldve probably wore all my teeth down to stubs by now just chewing it, it’s hard, but it’s so tasty! Kashi cereals are generally made with so many grains and fiber that you spend more time thinking about “digesting” the cereal than you do about enjoying it, If you know what I mean (toot). 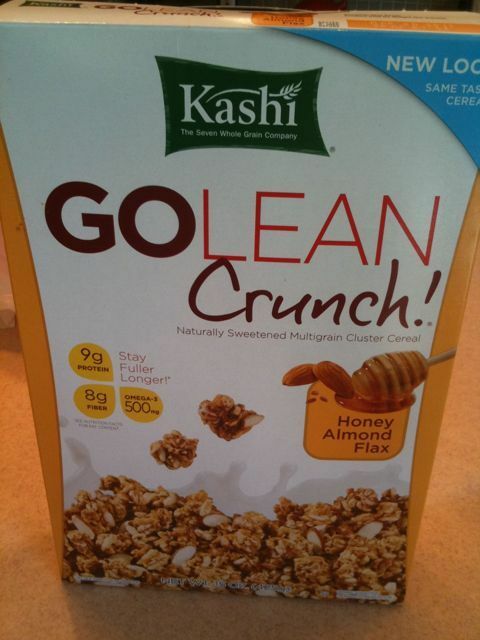 But Kashi Go Lean honey almond flax is actually really good while also being really good for you.. It touts helping you stay fuller longer, and for me, it keeps it’s promise and gets me through till lunch. It’s one of my pantry staples.